Bacolod City is home to the best and sweetest cakes and desserts in the country, I believe. We are Sugarlandia, after all. When tourists come here, they make it a point to visit the most popular cafes and pastry shops in the city that are known to serve the tastiest desserts. And a lot of them even take home these sweet treats as pasalubong for their loved ones. 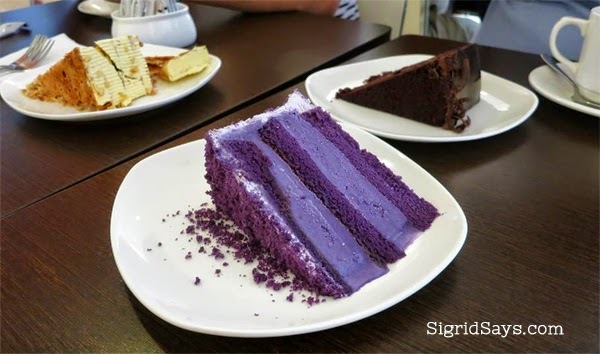 But let’s take it to another sub-level–finding the best ube cakes in Bacolod. 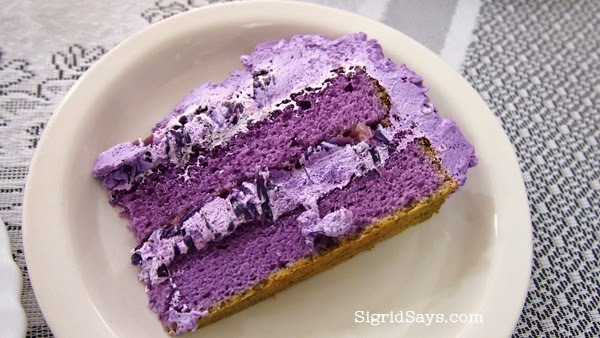 When I was in college, I could never quite forget the luscious ube ice cream cake that my classmate’s mom used to make. And I have never encountered such a wonderful treat ever again. 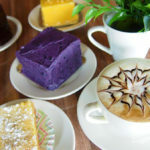 But since I and my mother-in-law love ube cake, here I listed the top ube cakes in Bacolod–at least for me. Please don’t ask me for the price because I forgot. But I did provide the telephone numbers so that you can call the stores for their updated prices. And oh, these are not in order. Just find out how these will affect you. 1. Ann Puen Cakes. This is a recent discovery but I am updating my list and putting this on top because it’s the only one that has ube halaya as icing. This is homemade, using only real ube. And since they don’t have a physical store, you can just order online through their Facebook page and by calling the listed numbers, (034) 435-6900 and (0922) 85000746. 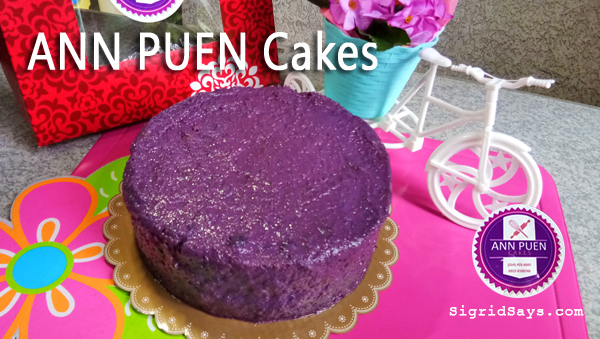 Ann Puen ube cakes are not very tall, the cake is moist and it has a custard filling. 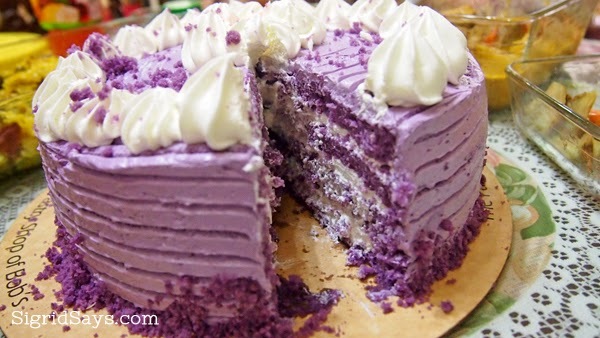 But the icing is out of this world–it is made with real ube! 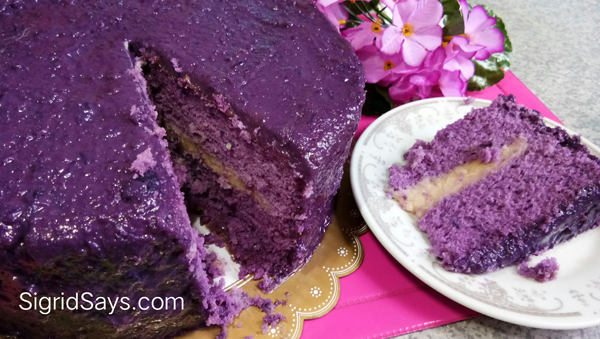 A must-try for every ube cake lover. There are two sizes available, with a price difference of around P200. Surprisingly, this ube cake is very affordable. 2. Sofia Bread and Pastries. 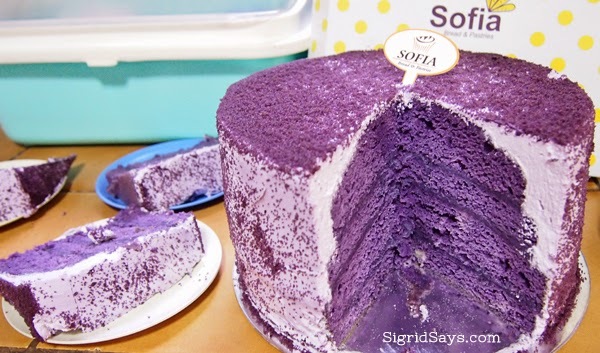 Second on my list is the Ube Cake of Sofia. 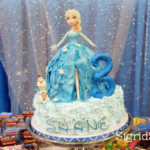 It is very tall with three layers of ube cake and set in place with ube halaya in between. Isn’t that heavenly? I bet that ube lovers are already drooling. It has cream icing and dark violet crumbs on top. Hubby and I loved the consistency of the cake–rather compact yet moist and sweet. If it is your first time to try this, just take a small slice because this can be really heavy on the tummy. 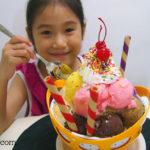 They are located at Narra Ave. Hilado St., Capitol Shopping, Bacolod City with Tel. No. (034) 435 1803. 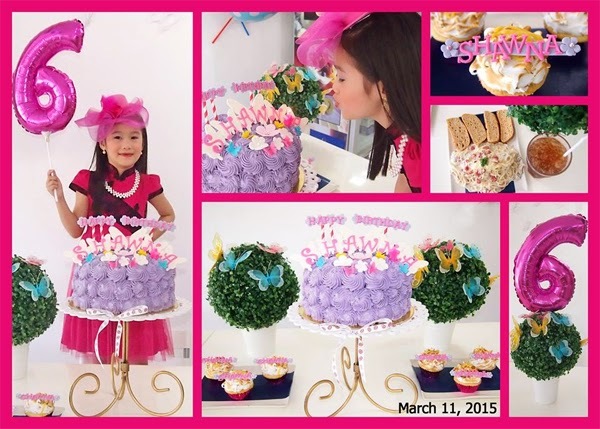 The ube cake by Sofia. 3. Bob’s Pastry Shop. The Ube Cake by Bob’s is slightly shorter, smaller, and lighter than the Sofia version. It has cream filling and icing and whipped cream on top. It has that kind of melt-in-your-mouth consistency that is oh-so-good! The filling and icing is sweet, which I like. Bob’s Pastry Shop is located at B.S. Aquino Drive, in front of Riverside Hospital, Bacolod City. Tel. No. (034) 434 2409. 4. Bacolod Cupcake Cafe. Yeah, despite its name, BCC also sells cakes. And one of my favorite cakes there is their Buco-ube Cake. It has cream icing and filling, but which is mixed with candied, tender strips of young coconut. It smells soooo good! And tastes good, too. It’s my daughter’s 6th birthday cake actually, only that it was embellished for the occasion. BCC is located along Hilado Street, in front of Hua Ming, Bacolod City. For orders, call Tel. No. (034) 435 2171. Buco-ube cake by Bacolod Cupcake Cafe. 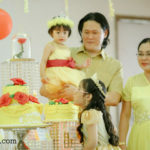 Ube cake and set up for my daughter’s 6th Birthday by Bacolod Cupcake Cafe. But for those who like the ube ice cream cake, the only one I can tell you about is what is being offered at Felicia’s Pastry Cafe. But somehow, it did not settle well with me. I mean it is good, but I do not really crave for it. But maybe you will have a liking to it, so go on and try it. 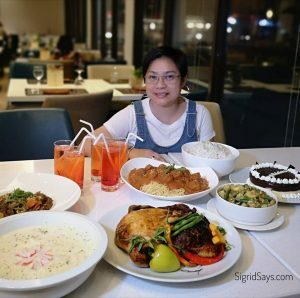 Felicia’s is located at 6th-Lacson Streets, Bacolod City with Tel. No. (034) 709 1123. They also opened a branch of Felicia’s at 15h Lacson St.
Ube ice cream cake at Felicia’s. 5. Nonna’s Kitchen. This is another heavenly find. Their ube cake has two sizes, the single serve bar and the whole round cake. Their ube cake is compact, so even the single serve bar could be really heavy for one person (but I managed to finish mine anyway hahaha). Nonna’s Kitchen is located at the Hi-Strip 4, Circumferential Road. They have so many other great desserts, like the pizzokie and the yema. Great with their specialty coffees, too. 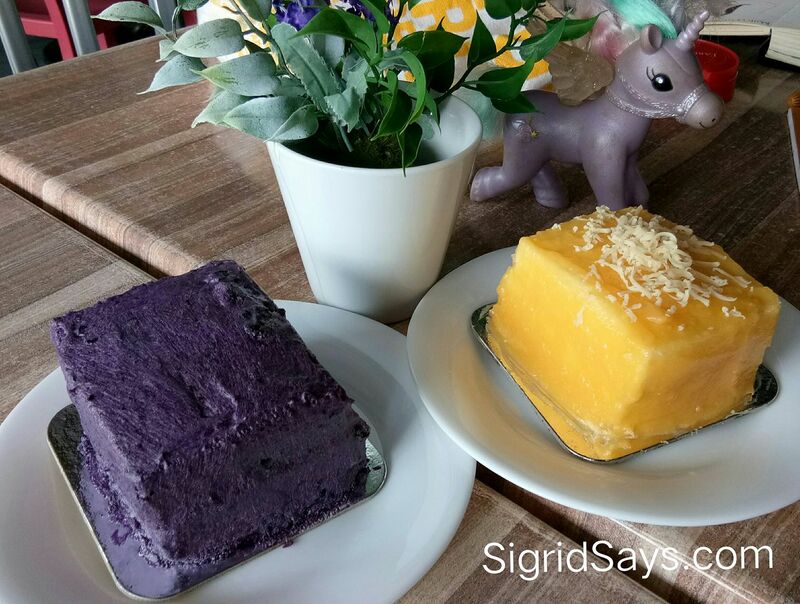 The single serve ube and yema cake at Nonna’s Kitchen.